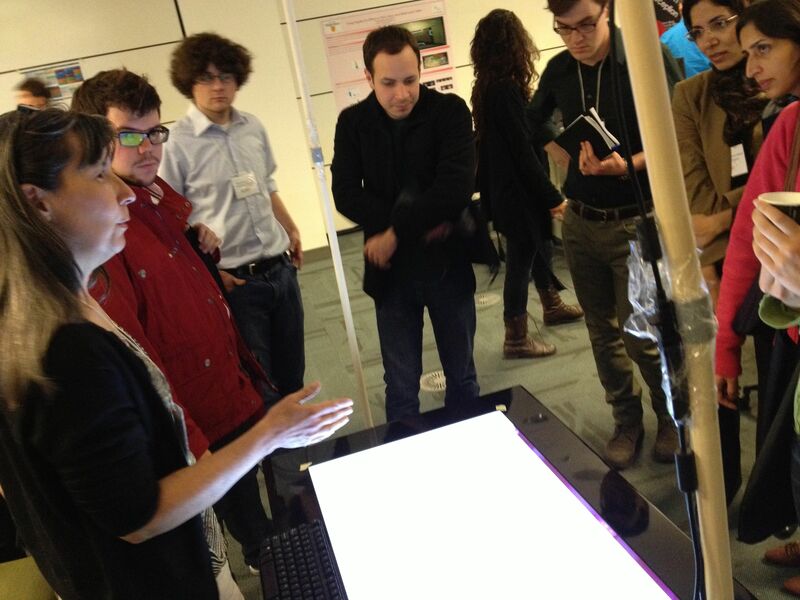 The SurfNet 2013 Workshop was at the University of Calgary again this year. We had the usual updates on research around the network, and interactive displays for our industry partners. The display space was in the wonderful Taylor Family Digital Library, which despite its name is a real bricks’n’mortar facility, but full of space and displays for digital media. 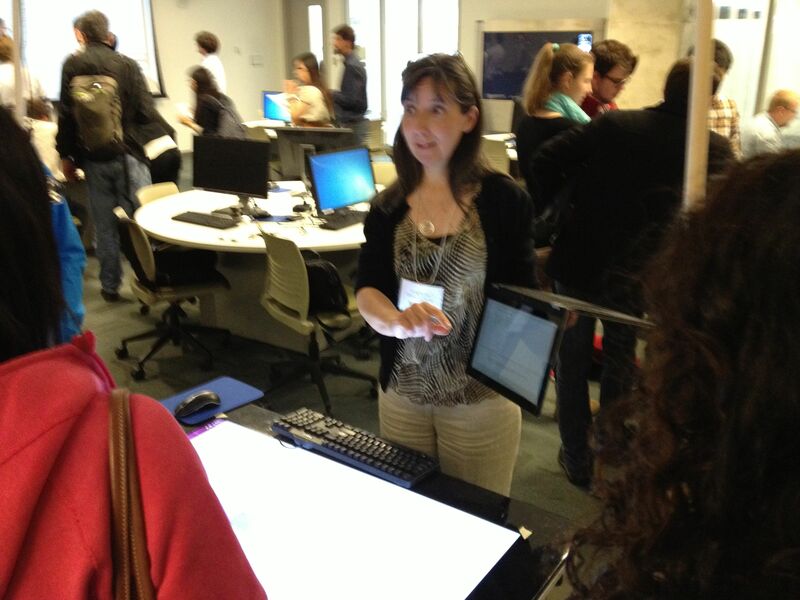 We borrowed a multi-touch table, and showed our tool for collaborative security analysis, ACHW. It’s based on the “Analysis of Competing Hypotheses” technique, but with touch interaction and visualizations for collaboration, structured walkthrough support, and seamless persistence across multiple devices, all using HTML5.